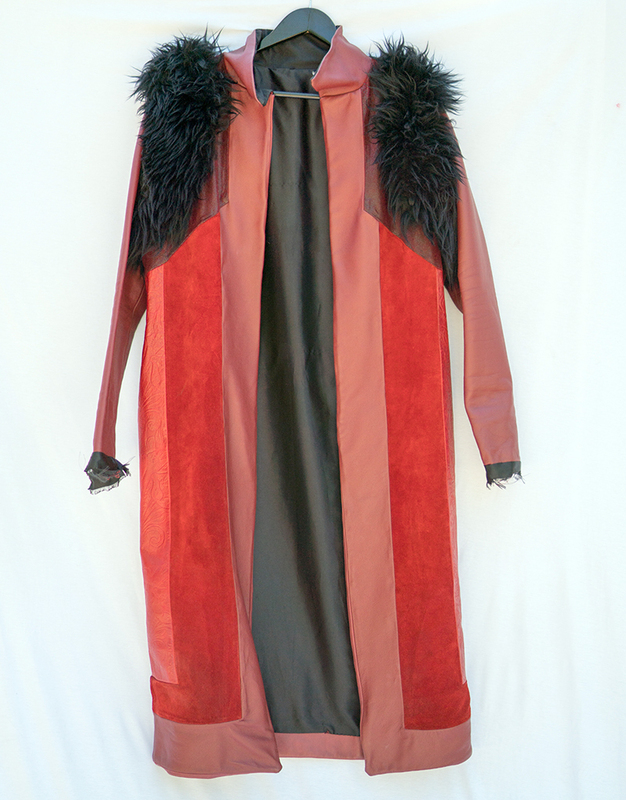 Red leather and suede jacket with fur shoulders. Lining was torn out. Size 2/4.